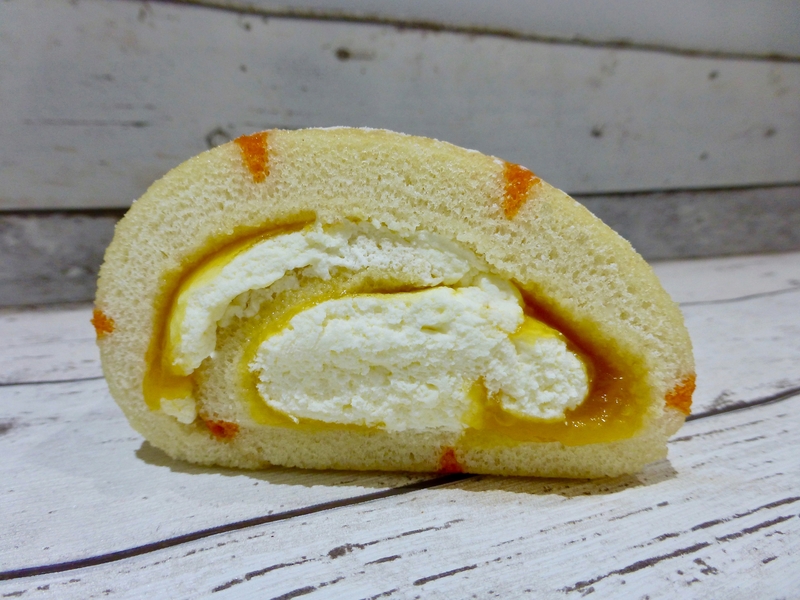 We haven’t had a good dessert in a while so let’s see if we can change things with today’s review of M&S Passion Fruit Swiss Roll. Throwing tradition out of the window M&S have replaced jam with passion fruit but is it a smart move? I love a M&S Dine in Two for £10, it’s a darn good deal and above all there is always some delicious food on offer. It was really nice to see that the latest one didn’t just have the usual choice of profiteroles and cheesecake, but also included something a bit more summery and a little different. Sat comfortable in a plastic tray, M&S have thought about how to get it out the packet and sat it on a slice of paper for easy lifting. One end certainly had more cream in it than the other, the roll wasn’t too shabby, there weren’t any cracks but it wasn’t as tight as it could be which meant there was a glut of cream in the middle. The sponge was on point – light and airy and not a dry crumb in sight. The passion fruit running throughout was fruity, zingy and utterly delightful and together with the cream and sponge made for a very good combination. 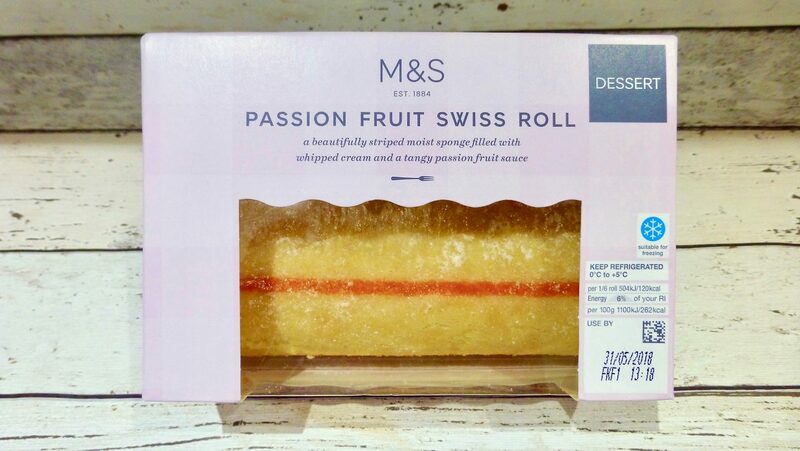 This M&S Passion Fruit Swiss Roll is a fabulous alternative to a traditional roll. It was the general consensus in our house that this is one of the nicest shop bought swiss rolls we have tried. As ever the size is questionable, it is certainly not 6 person swiss roll! Nonetheless a summery cakey hit.